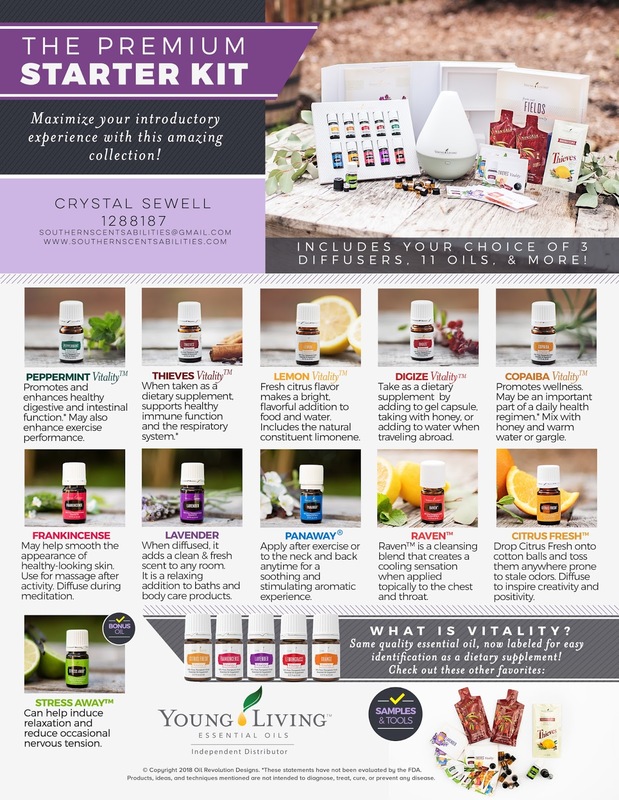 We joined Young Living in 2011 and have been faithful oilers ever since! 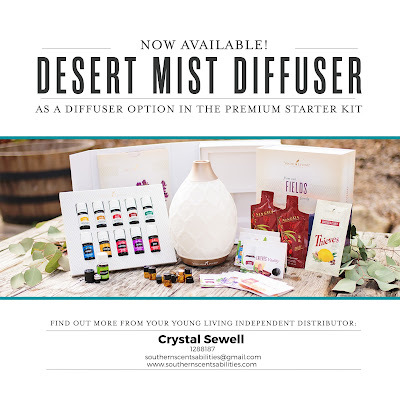 Getting started is super simple and will launch you into your own OILY journey! 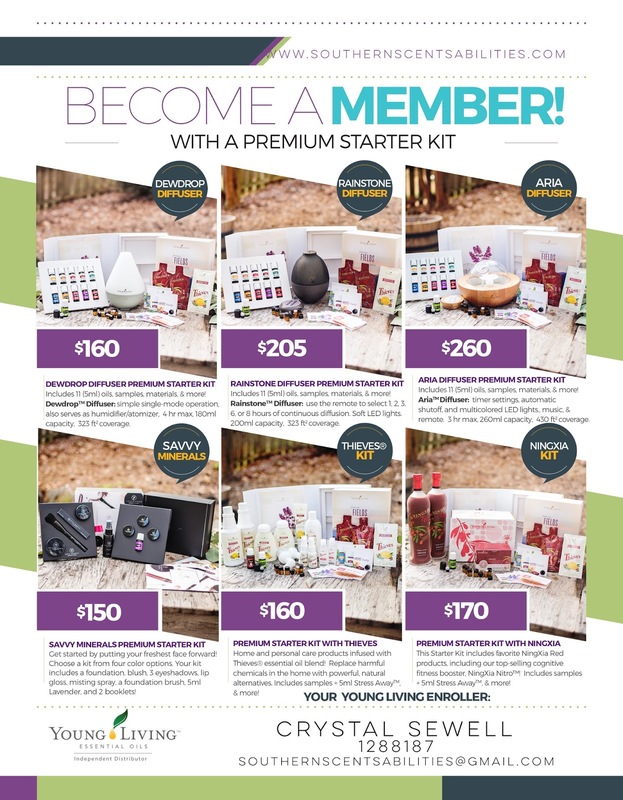 Order one of Young Living's Premium Starter Kits and you will be well on your way of taking charge of your health! 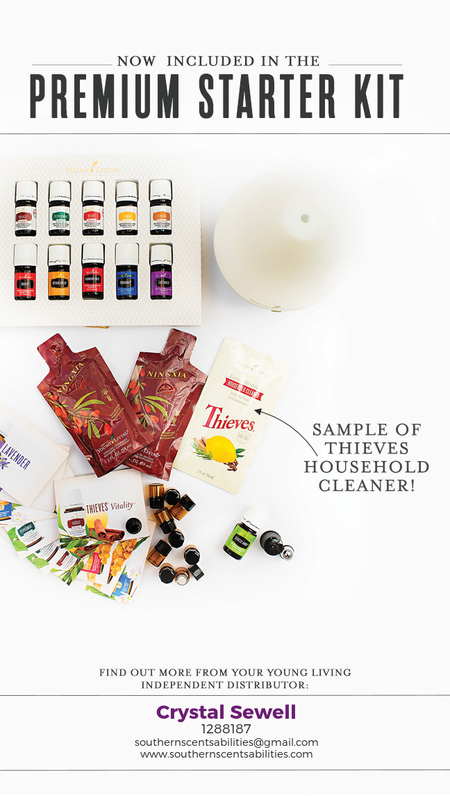 The Everyday Oils Collection, which includes 11 essential oil singles and blends AND NOW a 1oz Sample of our Thieves Household Cleaner! You won't need any other cleaners, EVER! The Premium Starter Kits are the perfect way to start taking charge of your health and wellness and it contains some of the most popular and most beneficial oils for body, mind and emotions. The Premium Starter Kits represent over $300 worth of essential oils and products that will greatly bless your family and put you on the right path of using your essential oils effectively! And the cost is just $160! Have no obligation to sell anything, ever (but, the option is there)! Exclusive Access to Personal and Business Building Support of my Southern Scentsabilities Team. We have a Facebook Group you will have exclusive access to! Choose a Premium Starter Kit and you will be qualified to receive a great Welcome Packet from me! Once you’ve completed this process you will be given your own member number, which will allow you to start shopping with wholesale prices immediately. 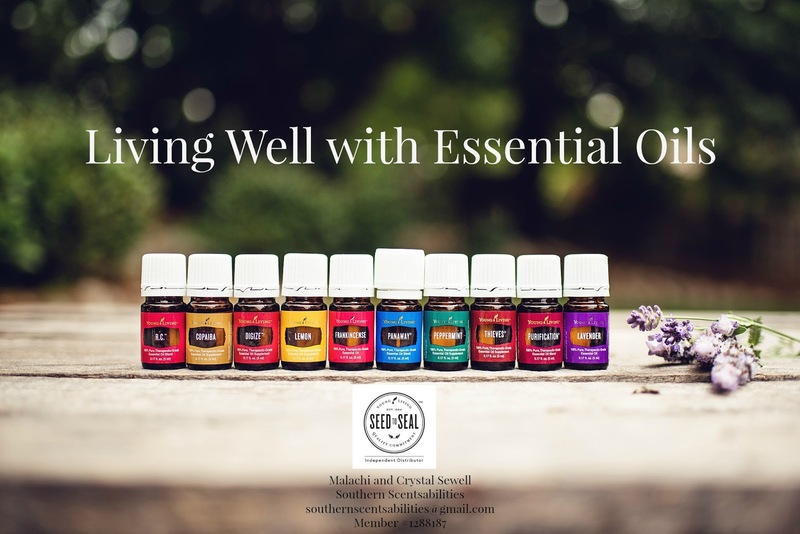 At this point, I recommend that you sign up for Essential Rewards, so that you can earn FREE oils!